Ellen Muehlberger | Amazing Lookalike! On the left is Ellen Muehlberger, Assistant Professor of Christianity in Late Antiquity at the University of Michigan. 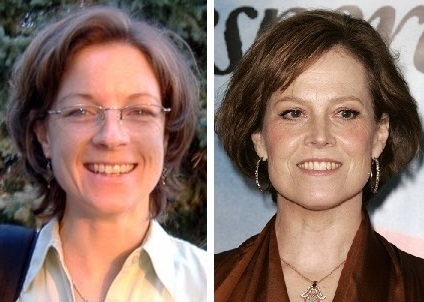 On the right is actress Sigourney Weaver, famous for her lead role of Ellen Ripley in the dystopian Alien films.